The Mt. Adams Resource Stewards staff and Board of Directors bring years of experience that reflects stewardship of our natural resources and passion for community causes. Jay has been working with communities and natural resource issues since 1995, including stints as a forester with the Bureau of Indian Affairs, forestry consultant, the Peace Corps in Panama and as a high school teacher in Glenwood. 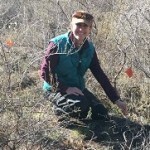 Jay has a master degree in forestry from the Yale School of Forestry and Environmental Studies, a bachelor degree from Whitman College, and is the founding director of MARS. Sharon leads efforts to measure and monitor the impacts of forest restoration, stewardship and management associated with the community-based forestry activities at MARS. She joined our team in Spring of 2016 after working throughout Washington and Oregon in fisheries and aquatic ecology for various government agencies and non-profit organizations, spending nearly a decade at the BLM on the Rogue River. Sharon looks forward to connecting and communicating with community members on the stewardship monitoring program at MARS. Casey brings a familiarity with Mt. Adams Country and varied experience to MARS’s efforts to steward the Mt. Adams landscape, having worked on seasonal natural resource and wildfire crews, as a surveyor, with his own small logging operation and as a small scale farmer.